Isn't it darling? You just know that whoever baked it was wearing pearls and a crinoline! I started by using the band saw to cut a bevel into my bead foam base, and then cut a hole into the middle of the cake. I then sanded the edges to soften them. Next, I mixed some color into my acrylic caulk, and frosted the cake. 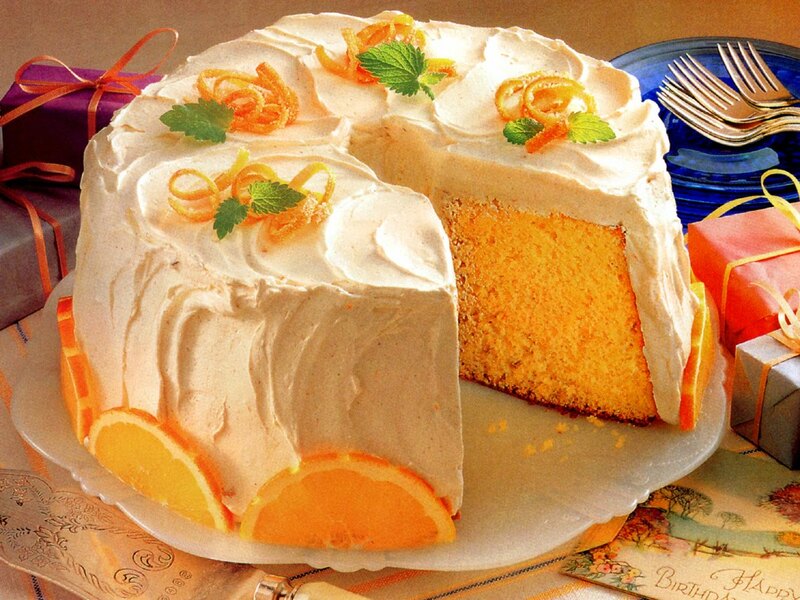 Once the frosting dried, I decorated the cake using items I found in stock; some foam lemon slices that I painted orange and some little silk daisies. Ta-da! Note: There is actually one other Herring cake, a lovely strawberry number by Keli (of the Sham ala Keli entry.) Unfortunately, I do not have photos of said cake. If I come across any, I will post them! I really liked all these posts on cakes. Looks like it was a tasty summer. I bet it was fun doing research for them!